Chris DeMuth Jr. is the founder of Rangeley Capital LLC. Chris joined Watsi on December 19th, 2015. 25 other people also joined Watsi on that day! Chris' most recent donation traveled 8,200 miles to support Kirungi, a toddler from Uganda, to fund repair surgery. Chris has funded healthcare for 326 patients in 13 countries. Kirungi is a baby from Uganda. His father is a welder, and his mother is a hairdresser. Kirungi was diagnosed with cryptorchidism, a condition in which one or both of the testicles remains undescended. If left untreated, Kirungi has an increased risk of developing hernias, testicular cancer, and fertility problems in the future. Kirungi will be receiving assistance from our medical partner, African Mission Healthcare Foundation (AMHF). Fortunately, he is scheduled to undergo corrective surgery on June 6. AMHF is requesting $199 to cover the total cost of his procedure and care. His mother says, "After my son’s treatment, I will have peace at heart because we have spent a lot of money visiting many hospitals." 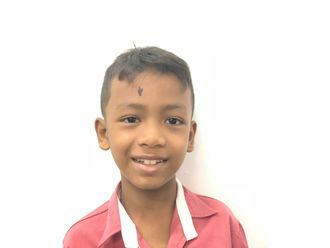 Chhar Ly is a second grade student from Cambodia. He has one younger sister. He likes to play with toy cars and enjoys writing. Chhar Ly has strabismus in his right eye. Strabismus is a misalignment of the eye caused by injury or dysfunction in the associated nerves and muscles. He has blurred vision and is self-conscious about his eye. Chhar Ly traveled to our medical partner's care center to receive treatment. On June 1, surgeons at our medical partner, Children's Surgical Centre (CSC), will perform a corrective procedure to align his eyes. Now, Chhar Ly needs help to raise $292 to fund this procedure. His mother says, "I hope my son's eye surgery is successful so that he will be good looking and confident. I won't have to worry about his vision and his shyness with his friends." Nickson is a baby from Kenya. He is the youngest of two children. The family lives in a one-room house in central Kenya. Since he was six weeks old, Nickson has had an inguinal hernia. Fortunately, on June 5, he will undergo repair surgery at our medical partner's care center. 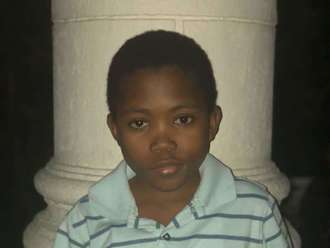 Our medical partner, African Mission Healthcare Foundation, is requesting $423 to fund Nickson's surgery. Once completed, this procedure will hopefully allow him to live more comfortably. “It is really worrying because no matter how hard we try we cannot raise the funds needed. We will appreciate any help accorded,” says Nickson’s father. Matteo is a boy from Haiti. He lives in Port-au-Prince with his parents and younger brother. He is a fifth grade student, and likes watching soccer games and listening to music. Matteo suffers from a condition called severe pulmonary stenosis, in which one of the four valves of his heart is too small. As a result, blood backs up into his heart, leading to heart failure. This will eventually be fatal. Fortunately, Matteo will undergo interventional heart catheterization on May 24. During the procedure, doctors will use a catheter tipped with a balloon to stretch Matteo's valve open to a more normal size. Our medical partner, Haiti Cardiac Alliance, is asking for $1,500 to cover the costs of Matteo's travel expenses, catheterization procedure, and lab work. He says, "I am excited to be able to play soccer after my heart is fixed." Oliver is a student from Haiti. He lives with his parents and siblings in a neighborhood in Port-au-Prince. He is in the first grade and enjoys going to school. Oliver has a cardiac condition called pulmonary atresia. He was born with one of the four valves of the heart missing. Sometimes a surgery can be done to correct this condition, but the only way to know this is by doing a cardiac catheterization. To determine if Oliver's condition is operable, he must undergo a diagnostic cardiac catheterization, a procedure that is not available in Haiti. During the procedure, a catheter probe will be inserted into his heart to perform the necessary measurements and tests. On May 24, he will travel to the Dominican Republic to receive the scan at our medical partner's care center, Clinica Corominas. 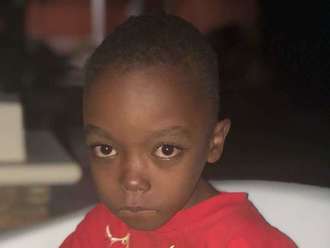 Our medical partner, Haiti Cardiac Alliance, is asking for $1,500 to cover the costs of Oliver's travel expenses, catheterization procedure, and lab work. His father says, "Our family is very happy to have this chance, and we are hopeful that Oliver's heart will be able to be fixed." Wesley is a baby from Kenya. He lives with his elder brother and parents in a one-room rental house in the Nairobi suburbs. His father, the family's sole breadwinner, is training to be a mechanic. Wesley was born with spina bifida, a type of neural tube defect in which the spine does not properly close around the spinal cord. Without treatment, Wesley is at risk of lower-limb paralysis, infection of the exposed nervous tissue, development of tethered cord syndrome, and possible developmental delays. Our medical partner, African Mission Healthcare Foundation, is requesting $1,097 to cover the cost of Wesley's spina bifida closure surgery. The procedure is scheduled to take place on April 12. This procedure will hopefully spare Wesley from the risks associated with his condition, instead allowing him to grow and develop along a healthy trajectory. “I long for the once happy family we had. We hope this gets behind us soon,” shares Wesly’s father.